Now TV, BSkyB’s internet TV service will offer customers a free 30-day trial when they sign up for the pay-as-you-watch tariff or the £15 monthly subscription. People who want to pay for films as they watch them will be able to browse Sky’s catalogue of more than 1,000 films. Classic titles will cost as little as 99p, while recent blockbusters will cost £3.49. 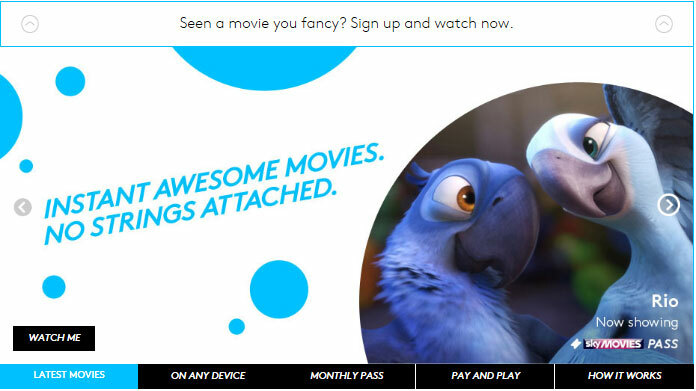 Film fans that choose the £15 Sky Movies Pass will be able to choose from more than 600 films, including recent blockbusters, at least 12 months before they are available on similar services such as LoveFilm and Netflix. In comparison, LoveFilm’s streaming service is currently at the introductory price of £4.99 a month, while Netflix’s streaming service costs £4.99 a month. Simon Creasey, director of Now TV, said: “We like to think that £15 is great value for what is access to the works. We believe Now TV is the best value subscription service and it is giving new choice to consumers. “There are millions of households that don’t take pay TV. There are now lots of different services and consumers have choice. If they are into content and want the most recent movies we’ve got lots to keep them happy.” From tomorrow Now TV will be available on PC, Mac and selected Android smartphones. It will expand to iPhone and iPad within the next month, Microsoft’s Xbox later in the summer and YouView when it launches. Other platforms, including Sony PlayStation 3 and Roku’s streaming player, will be added in the coming months. Additional content will also be added to the service. Sky Sports will be available by the end of the year and then TV programmes from Sky channels such as Sky1, Sky Atlantic and Sky Arts will be made available as part of an entertainment package. Sky first announced plans to launch an internet TV and film service in January this year and then confirmed it was to call the product Now TV in March.